Getting to and from campus can be stressful-worrying about arriving to class on time with Gainesville morning and evening traffic is tough. For those students who live off campus without a vehicle or do not want to purchase a decal, the bus system is the best option. Students with a valid Gator 1 ID card receive fare-free access to RTS service. All students may ride any RTS bus anywhere in Gainesville including campus, fare-free, by simply presenting their valid Gator 1 ID card to the driver. The Gainesville Regional Transit System is the local area transit corporation that serves the Gainesville, Alachua County, Florida area, the University of Florida and Santa Fe College campuses. Each route’s bus schedule is between 7-10 minutes during peak hours, 10-15 minutes during non-peak hours, and 20-40 minutes during late hours. RTS serves persons with disabilities, and students that find themselves in the library or working into the morning hours, the Later Gator routes are available. HaveUHeard they even offer a UF football shuttle during the fall semester for $10 per game? 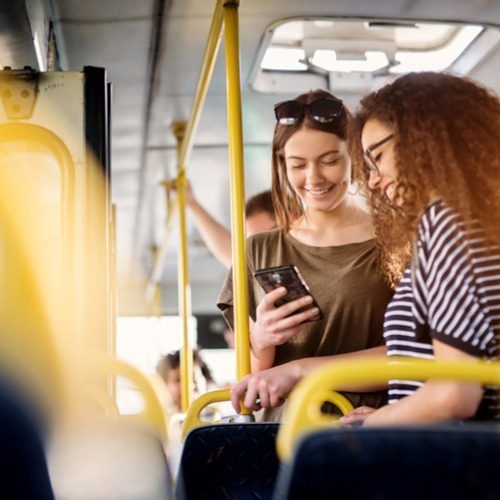 For students with smartphones, the most accurate way to track bus routes and see real-time bus traffic is the app called Rider. This app is very easy to use and reliable within 1 to 2 minutes daily. Speaking from personal experience as a fourth-year student at the University of Florida, I have used the public transportation system for all my time here, and it has been a great way to get to and from campus. There are many bus stops that are covered, and each bus has a bike rack available for two bikes too. For students who live off campus and do not have a vehicle or prefer not to purchase a decal, the bus is the best option.